Leave some comments for review. Would you like to share a story? Contact us and we will upload to website. If you have any images please let us know. Will include them in the gallery or in an actual story. I have a story to share how do I upload it? If you send me an email with the details I will review and upload to an appropriate page. Thanks for your feedback Fraser. My great-aunt, Maggie Irving, was a Queen Alexandra Nurse and family lore states that she was torpedoed (and survived) in both WWI and WWII. I’d love to establish if she was on the SS Strathallan. If anybody can help with a passenger list (or any other information), that would be fantastic. My late grandmother, Gartley Barbara Hamilton Holt (nee Watters), from Stirling was also in the Queen Alexandra. Your Great Aunt’s name rings a bell in my memory, I will ask my mother, I think they may have been good friends if I recall. Just seen the website. Excellent. Thanks for your kind comments Bill. Could you share the website through Social Media if you use. Please send me your snail mail address. You will see in the gallery I have posted photos of the Strathallan that belonged to my late father-in-law Paul Earl when he was working for Bath Cabinet Makers Ltd. I was very interested to visit this website as I subsequently learned that my Uncle was one of the troops on this transport who abandoned ship after it was that. He died some years ago and I never had the opportunity to discuss his experiences with him. Like many he never discussed his war experience as frond crew in the airforce in North Africa. I was very interested to visit this website as I subsequently learned that my Uncle was one of the troops on this transport who abandoned ship after it was hit. He died some years ago and I never had the opportunity to discuss his experiences with him. Like many he never discussed his war experience as ground crew in the airforce in North Africa. This is a fascinating web site. My mother, 1st Lt. Antonia “Netta” Bunes, was an American Army nurse who survived the sinking. She often spoke of the event. She passed many years ago, and I wish I had written her accounts which are now vague memories. Thank you for your good work here, and thanks to all whose efforts helped the Allies to victory. I am Selwyn’s nephew & Margaret informed me of your website so I was fascinated to read his (& other) account of the sinking of the Strathalan. My father John Rees Jones was Selwyn’s slightly older brother who had a similar experience. John was a radio officer in the merchant navy and was returning from a trip having carried fighter fuel to Russia on the SS Dabchick, but just before arriving at at Liverpool (I think?) my father fell on deck & broke his wrist. In a letter to Selwyn, John bemoaned his bad luck but a replacement radio officer was found and a few days later they set sail across the Atlantic only to be torpedoed shortly after with all hands lost. I often think about the bravery of the Merchant Navy men who were initially virtually unprotected & pro-rata suffered many more fatalities than the armed forces & if my father hadn’t suffered his broken wrist, I & my son wouldn’t be in existence now! Many thanks for keeping all of this forgotten history alive. ps My family & I would obviously be delighted to hear from anyone who remembers my dear uncle Selwyn who had a lovely sense of humour & was a really self-deprecating person. This is an impressive commerorative website to all those involved when the Strathallan was hit. Many thanks! A wonderful site which brings to life the stories told to me by my late grandad Joseph Roy Millington, possibly a Leading Aircraftman at the time. He wrote a short piece about his experiences on the night the SS Strathallan was torpedoed and it matches perfectly with the information you have here. Thanks for visiting the Strathallan site Jo. Glad the stories matched and thanks you for your kind comments. My mother Mary Parker was a QA sister on the Strathallan. She died in 1989, but often talked about her adventure. She never learnt to swim and says she was in the water, going down for the last time and feeling only great sadness that her mother would learn of her death, when her friend Molly stuck a foot under her and bobbed her up again, She was rescued, covered in oil and had to wear mens clothes. She nursed throughout the campaign in North Africa and Italy. She met and married my father RAMC CMS Bert Tubby who stayed on as a regular soldier until the 1960s. I wonder if the Molly my mother spoke of was Molly Skynn – who became Molly Smith as in the early 60s we went to Scotland to visit Molly and her family? I have some photos and also a letter 21st January 1943 from H. C. Turnbull, Acting Matron, Monsall Hospital in Manchester, passing on a message from Miss Orchardson, Mary’s Matron in the army to “re-assure you that Mary is alright and behaved in a very heroic manner…Mary was in the water for some time but came up smiling. They are in West Africa somewhere …the nruses are wearing soldiers battle dress and forage caps …she is living in a tent in a fig orchard. My late grandmother, Gartley Barbara Holt (nee Watters) was a Sister in the QAIMNS and was a passenger and survivor of the torpedo attack. I will get more information but she hailed from Stirling and was in her early 30s at the time of the sinking. She had recently married Major Henry Walter ‘Jim’ Holt of the Prince of Wales West Yorkshire Regiment who was stationed in India at the time of the sinking. Barbara never learned to swim. She made it into a lifeboat with several other nurses and a couple of seamen. They were picked up after a couple of days by a British destroyer. She didn’t talk much about the incident, she was planning on attending the last reunion in the early noughties but a fall hospitalised her and she passed away in 2005. After WW2 she ran a nursing home in Bournemouth before retiring to first, Filey and then to Scarborough. Jim Holt died in 1974. They had separated some years before hand, Jim fought the Japanese during Slim’s offensive down the Burmese peninsular and it was a particularly vicious campaign which took its toll on him, made it difficult for him to adjust. She had three daughters: Rosemary (my mother), and Pauline & Jennifer (twins). She had seven grandkids and knew a great grandson before she passed away. Did you ever manage to get any more information from your Gran to post here ? A very informative read, thank you. My grandfather Rowland Frederick Pattrick (Tony) was a survivor on the Strathallan when it was torpedoed. He passed away 4 years ago. He told us of many stories and he wrote a book too. My father Colin Pattrick is very informed. A few years ago probably 14 we held a Strathallan reunion in Greenwich at the Maritime Museum. This is a remarkable website. Commodore John Wacher CBE RD RNR was a Cadet in Strathallan and in charge of a lifeboat, which was launched with nurses on board. A ladies man, he loved to relate the tale, during our quiet moments of reflection, on the bridge of Chusan, when I was his First Officer. Thank you for your comments. Would love to hear more. Really interesting and informative website and my thanks to those who spend the time to ensure these events are not forgotten for future generations. I have a direct family link to the SS Strathallan as my father was on the vessel for Op Torch (RAF 500 Sqn) and the next time I’m up visiting (yes – he’s now 95!) I need to dig out his diary as he has references of being dive bombed by stukas whilst on deck. He was subsequently based in Blida and other bases in Algiers. I don’t suppose there’s a P&O passenger list for the Torch landings? Thanks for your comments Alan. It would be good to get diary extracts from your fathers diary to upload to the website. I am afraid I do not have a passenger list for the Torch landings. Would you mind transcribing James Worrall’s recollections about the Strathallan and posting them here ? very nice website, I found it while reading the story of kay summersby morgan (a secret love affair), but I didn’t find her story back in your eyewitness reports. My father and my uncle were both on the Strathallan when it was torpedoed. My father was called Matthew Hill Rankine. He was a boy soldier at Beachley Camp in Chepstow, and had just turned 18 when he was posted to North Africa. He was with my uncle, Hugh Liddle. Oddly enough, my husband’s best man’s mother was a nurse on that voyage too. I only discovered this after my father died (in 1989). My father, James Miller, then 30 years old (1912-1992) was on board. He did not care to relate much of his wartime experience. He did mention the Strathallan episode, though. He went to on to fight in Italy and north Africa and greatly admired Field Marshall Montgomery. He completed 25 years’ service in the army and retired from his position of Commander (RAOC) in Hong Kong in 1962. I am trying to get information about the US Army nurses that were aboard the Strathallan. She was Second Lieutenant Helen C. Baniak. Any information about the US Army Nurses will be greatly appreciated. Thank you ! Whitaker was on this ship…or one like it. The Story goes, that a man from England (last name Whitaker) came to Trinidad and had a baby boy. He put that baby in an orphanage and returned back to England. Have photos &c of 1938 Port Moresby cruise but fairly personal. Would anyone like to see? My father, Sapper Joseph Swain, was on board SS Strathallan when she was torpedoed. He would never talk about the experience up until he died at the age of 71. The oil that he ingested whilst he was in the water virtually destroyed his lungs and he suffered ill healtgh for the rest of his life. Joe, my father was on the Strathallan also, and ended up in the ocean where he spent the rest of the night holding on to a piece of flotsam. He also swallowed a lot of that diesel fuel. Dad spent a few weeks in hospital once he got to land. He had headaches and lung problems for awhile in North Africa. I notice from the comment below that Gordon’s father suffered the same thing. My father, Eric Marsden, then aged 21, survived this attack. He wasn’t among first to be rescued &, consequently, swallowed deisel oil whilst treading water. This gave him chronic bronchitis after the war resulting in his tragic death in 1958 aged 37. A big thanks for your pages, I’m learning more of this event which, even being so close to my heart, I know so little about. Thanks for your email Gordon and your kind comments. It is really humbling when we hear from freinds and relatives of survivors that tell us they knew very little of what happened to those on the SS Strathallan during the war or learn about the fate of the ship. My grandfather, Charles John Nepean Longridge, served as a ship’s doctor on the Strathallan and was on board when the ship was torpedoed on December 21, 1942. He served in WW I, and lied about his age (almost 67!) to enlist in the Royal Navy for WW II. Thank you for this wonderful site – I have learned so much about the ship and its story! Thanks for your email and comments Daphne. We are glad you liked the website and story of the SS Strathallan. Hi, I have some photos of my father and there are some unknown friends on the photos too. He was on the Strathallen. Any chance I can send them to you? If you send the photos to les@thestrathallan.com I will review and upload to the gallery. Could you provide details of your father and I will add them as well. Name, Service, Rank etc. I see you continue to do great work on the Strathallan site. “Good on you” as I hear the Australians say. 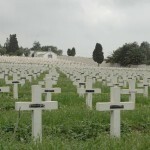 A month ago, I was interviewed by a local reporter about my parents’ journey through the war. During our talk I mentioned the Strathallan, and he included it in his article which was published on November 11–Veterans’ Day. I’m including the links as I thought you’d enjoy the story. The first link is for the article itself, and the second one is the timeline. Now, I’m beginning work on a website to promote the book I’ve written. I reviewed the articles you sent the links to. A fascinating story. Hope all goes well with the launch of your webaite. If you need help an any way please do not hesitate to ask. Thanks, Les. I appreciate the offer. But I don’t know enough now about website building to ask any sensible questions. I think I’m going to dive in with WIX.com. It seems to be the most popular choice for us novices. I’ll keep you informed. Les, I would like to ask you a few questions about website development when you return from your travels. Whenever it’s convenient for you. Hi Heydon, Answered this morning. Did you have a chance to read the chapter I sent? Reading a note in the guestbook from someone who wondered about the U.S. nurses on the Strathallan, I thought there were a couple of references in this chapter which might interest her. I am away on holiday until January, touring Thailand & Vietnam. I will review on my return home. Have a good time. I was stationed in northeastern Thailand at a small army listening post in 68-69, near Udorn and not far from the Mighty Mekong. The single most impressive place I saw in Thailand was a leper colony near Chiang Mai. Missionaries worked there. The staff and patients/residents displayed more love than I’ve ever seen anywhere else in the world. The Thais are wonderful people. I imagine the Vietnamese are, too. Amazing after all they’ve been through. I would just like ask if you know if 155 Field Bty RA were aboard the Strathallan when she was sunk? My Grandfather was a member of this unit and took part in the battle of Sidi Nsir. I still have his Beja Badge and am trying to find out more about what happened to him and his unit before and after the battle. Enjoying reading your great site. Thanks, David Taylor. My father sailed on the SS Strathallan for North Africa via Cape Town , late March/early April 1941 as a RASC officer. I have one or two photographs of him on board and two or three menus from the ship. Thanks for your comments on the website. Would you like me to upload your photographs on the website? Ship was carrying 4,408 troops and 248 nurses. Upon being torpedoed fire broke out in the engine room and spread to a hold containing ammunition. Six of the crew and a few passengers were killed; the remainder were taken off and whilst the ship was taken in tow it sank 12 miles off Oran at 0420hrs on 22nd. Tom was in section G21. In surviving, he only possessed vest, underpants, shirt, battle dress blouse and trousers. My father went through the same “baptism” in the oily water. He must have swallowed some plus seawater which gave him headaches, fever, and extreme fatigue for a couple of weeks afterwards. Out of interest, what rank was your father Michael ? 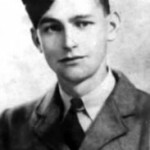 Who was Rowland T – his full name and rank and unit please ? Someone inquired as to why one of the QAs was buried in Oran. My mother was in the QAs and I believe was on the ship although I have not been able to find a passenger list. She told me they were landed in Oran after being rescued, but there had been an outbreak of bubonic plague in Oran which may have been the source of her illness. While maybe not relevant, it is interesting to note that the celebrated French writer, Albert Camus, wrote a novel built around the plague outbreak (“La Peste”). I would like to add my father’s name to the passenger list. Need some guidance in providing information. The email link doesn’t seem to work. Is it the ‘cookies’ issue that prevents it? names cannot be added by viewers of the website. If you send me the details I will add for you. The following is an excerpt from my father’s memoirs regarding the Strathallen incident. “On November 10, 1942 I became attached to Allied Force Headquarters in London on General Eisenhower’s staff. When Africa was invaded by the Allies, my organization was shipped out on December 10th, our destination being Algiers. And many thanks to you Les. Passenger list now updated with details provided. The last page contains all added passengers since the original list was documented. Thanks Les, the family very much appreciates your efforts, this website and the history it preserves! William, my father was also part of the Eisenhower staff on the Strathallan. Americans made up a much smaller group than that of the British soldiers and nurses. Kay Summersby, Eisenhower’s Driver/Secretary was also on-board. She later wrote that the first portion of Eisenhower’s staff (with Eisenhower) left England for Gibraltar around Nov. 5. Ike told Summersby that she would be following with the second part of his staff on the Strathallan. She wrote a good account of the sinking. So did Margaret Bourke-White. I have no doubt that our fathers knew each other. My father was in the G-2 Intelligence Branch. My father ended up in the water for most of the night. I imagine the ship’s captain changed the order from abandoning ship to waiting for the destroyers to unload the bulk of the passengers. I know the destroyers couldn’t return to the Strathallan right after she was torpedoed because they suspected a wolf pack of u-boats in the area, and they had to drop a lot of depth charges to secure the area first. I’ve just discovered my father’s cousin George James Owen Boyden was on board the Strathmore when he died in early 1946 in London, but don’t know anymore about it. What a very interesting and informative website! I’m trying to get to the bottom of a family story about my late father Hedley Reed who served with the RASC where he was an electrician / mechanic. The story is that he was on another ship in the convoy and was put aboard the Strathallan after it was torpedoed to try to open some doors to release people who had been trapped. Would anyone know if this incident occurred? Yes, I received all photos thanks. Just not had any time to upload yet. I will complete as soon as possible. All uploaded to the gallery, sorry it has taken longer than expected. FOUND A CIGARETTE CASE INSCRIBED SS STRATHMORE, NOT IN GOOD CONDITION BUT UNUSUAL IN SHAPE AS AN ENVELOPE.I HAVE READ THE PAGE WITH INTEREST. What wonderful stories of this brave ship and the men and women who served on her, excellent website. I came across it while researching my grandfather’s service in WW2 – he was a soldier en route to North Africa in the same convoy as Strathallan when she was torpedoed. I have been trying to find the commodore’s report of convoy KMF 5 / KMF 5A at The National Archive but with no luck (everything up to KMF 4 and from KMF 6!). Do you or any of your subscribers by any chance know The National Archive reference? Many thanks and good luck with the website! My grandad, William Fernley Tribe Airman 1st Class RAFV, was one of the 16 people who died for their country on board the Strathallan. My father was in the same convoy as the Strathallan on the Empire Pride. He boarded his troop ship in Liverpool on 10 December 1942 where there were many other ships along the quayside. I have struggled to find out whether the Strathallan took on troops initially in Liverpool as records on the internet seem to show it departed from the Clyde two days later. I cannot work out whether the Strathallan joined the convoy from Liverpool. My father says that one of the reasons they were not attacked in the Atlantic was because of an atrocious storm. I have found the Met office records of that storm. He remembers the sinking of the Strathallan but knew about it only when they landed in Algiers. A torpedo was fired at the Empire Pride but missed. 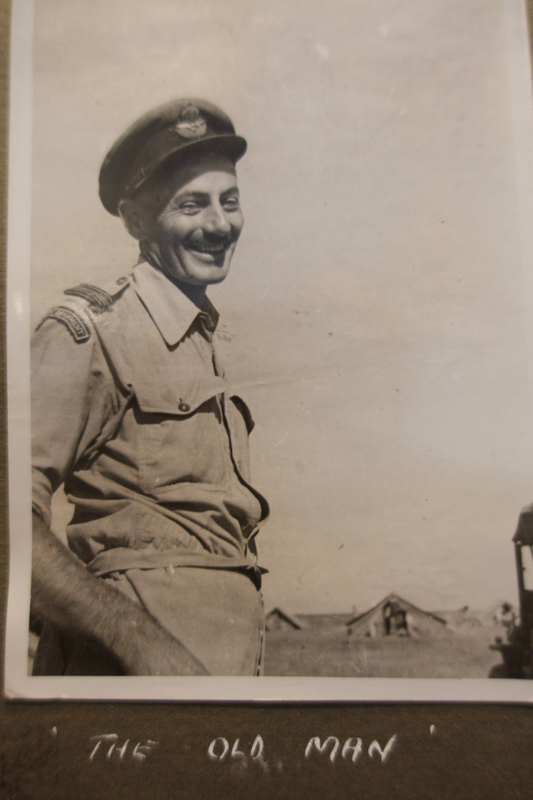 I am writing a book about my father’s life and family history which includes his war years. It may be called Resilience because this is what all those who sailed in that convoy had and all the other convoys. My father was a U.S. Army officer on the Strathallan for that fateful voyage as was Margaret Bourke-White, the LIFE Magazine photo-journalist. Dad first wrote home about the torpedoing in late February 1943. I imagine there was a 60-day hold on release of information about the incident because that’s when Ms. Bourke-White’s article about the attack on the Strathallan appeared in LIFE Magazine. If you have access to magazine archives on microfilm, I believe you would benefit by reading the article in that it would provide added material to you. As your father wrote, there was an atrocious storm there in the Sea of Biscay, and MBW writes about it. Related to the storm, an officer onboard the Strathallan told MBW, “At least with this storm, we won’t have to worry about U-boat attacks.” Then, on Dec. 20 (I believe), they passed through the Straits of Gibraltar and into the calmer waters of the Mediterranean. There, they were more vulnerable to U-boat attacks, and it happened. I guess it’s no surprise that the CO of the Laforey’s account differs significantly from that of Capt. Edward Ellsberg, Principal Salvage Officer, who states that the ship could have been saved if the work party from Laforey had followed his instructions.